While the Brexit smooth progress is supporting GBP, the manufacturing PMI data will be released today in the UK. 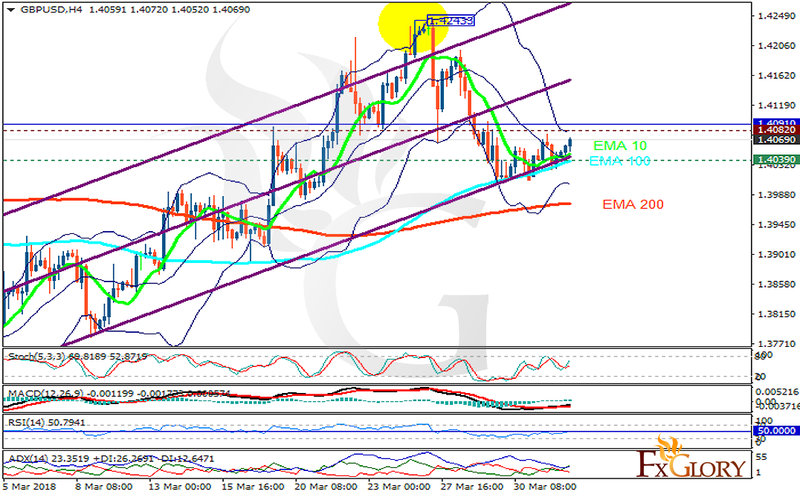 The support rests at 1.40390 with resistance at 1.40820 which both lines are below the weekly pivot point at 1.40910. The EMA of 10 is moving horizontally in the ascendant channel and it is above the EMA of 200 and the EMA of 100. The RSI is moving on the 50 level, the Stochastic is showing upward momentum and MACD line is above the signal line in the positive territory. The ADX is showing buy signal. GBPUSD has been moving in a tight range, the resistance level breakout will push the pair up towards 1.43.